Any time we feature some crazily awful story out of Florida, it's typically from a newspaper or local TV news headline that contains these two words: "Florida Man." As in, "Florida man arrested again for tasering ex-wife," or "Florida man bites neighbor's thumb off." You get the idea. Whoever this Florida Man is, he's clearly insane and unstoppable. He feels no pain, has no ethics, and is capable of feats far beyond that of normal American man. 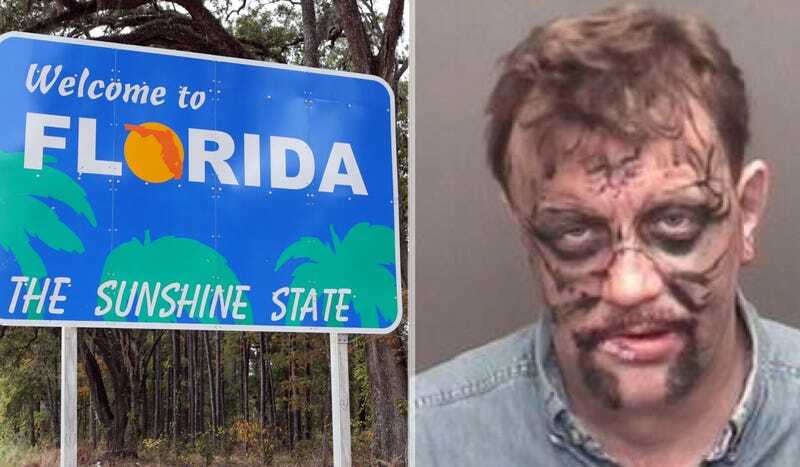 It almost sounds like Florida Man is a superhero — just a really terrible one. So if any of you out there run into Florida Man, be prepared for the fight of your life.